We are looking for a self motivated Structural Engineer to support our Clients on the design and construction of a variety of new build, historic and unique structures across Cumbria and South of Scotland. We are not designing rockets, but our workload requires innovative thinkers and problem solvers. Our projects may not be glamorous but we work with great people to deliver life changing projects. Our clients budgets may be limited but this does not limit our thinking. Are you a chartered Civil or Structural Engineer who loves their work ? Do you want to work in a County with 2 World Heritage Sites, 2 National Parks and numerous Areas of Outstanding Beauty ? Do you want to work with some great Clients, Architects and Contractors ? Then get in touch, send us your CV and a Covering Letter with your current renumeration package. We don’t entertain agencies, we would rather pay candidates directly. We are looking for a part time Civil Engineering Technician to work within our team supporting our Clients on the design and construction of a variety of new build projects across Cumbria and South of Scotland. We need problem solvers and lateral thinkers. We strive to offer Clients innovation and practical solutions. Our work helps create new communities in a wonderful environment. Are you looking for part time work with flexibility for family time ? Do you want to join a great team working with some great Clients, Architects and Contractors ? Do you enjoy detailing and modelling road infrastructure and drainage ? 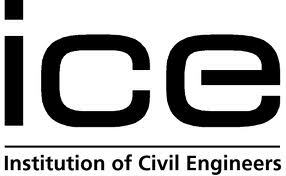 Do you have an HNC / HND in Civil Engineering ?